Imagine having both your identity and your house stolen? 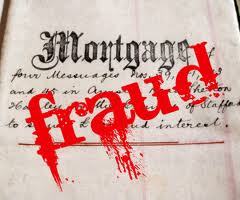 Mortgage Fraud is one of the latest trends today which involves stealing a person’s identity and their house. This in part is being driven by clever criminals who have taken advantage of the recent collapse of the housing market. In some cases, the home owner was still making mortgage payments after the identity theft criminal had already transferred the title into someone else’s name. This is a new type of crime that the FBI calls it a combination of both identity theft and mortgage fraud. Stealing a person’s house is a five step process that is clever and can and does happen without the rightful homeowner even being aware. This is a relatively new type of crime and you need to beware how easy this could happen and protect yourself. 1. Criminal’s thieves look for houses with a high resale value. Like any other buyer the criminal looks for location, location, location. Targeted areas could include vacation communities and or rental properties that might be unoccupied part of the year. 2. Criminal’s check and research the public records to learn about the home owner. Unfortunately too much information on your home is public access. Today a savvy criminal can find out information online or at a courthouse. They use this information to determine who is the best target for their scheme. You might be shocked as to how much information about you is available. Today’s criminal who steals houses is both savvy and cunning. 3. Producing Fake Identification and Social Security Cards. The next step is to create fake identification that can be used to forge legal documents. Forgeries include driver’s licenses or social security cards. These forged documents are needed to do business with banks and mortgage companies. 4. Transferring your deed. Today you can purchase many legal forms either online or at an office supply store. Clever thieves use their new fake identification along with deed forms and have them notarized by a local notary. Then they file these forms in the county where the property is located. This transaction puts in motion the stealing of your house. Imagine you have a vacation property and find out you have been a victim? 5. Criminals take possession of your home. The entire scheme about stealing your home is designed to target a house where someone is not living. Vacation homes, rental homes are ideal targets for criminals. Sometimes the criminal will move into the home, but in most cases they want to sell it for a quick profit. Imagine you find out your rental home was sold and you had no idea any of this was taking place? Since this type of Mortgage Fraud crime is hard to detect and can easily fall under the radar it makes it harder to protect yourself from it. There are however three (3) things you can do that may help you deter this from happening and will help you from becoming a victim of identity theft and mortgage fraud. 1. Mortgage Company Mail - make sure you open and read your mortgage company mail. Make sure the contact and address information is correct. Periodically you may want to check to see if there has been any inquiry activity on your mortgage. If you stop receiving statements immediately contact the mortgage lender. Also take advantage of online access to your account this may help you in early detection of a problem. 2. Public record check – It makes sense especially with an non occupied rental or vacation home to check your local county office regarding your deed. This is a way to detect any early irregularities regarding your property. 3. Monitoring Protection – there are a number of 3rd party monitoring companies that will use advance technology to search the internet and public records to see if your social security and or credit is being used in a fraudulent way.